Whether you are in search of a room in Kühtai or a comlete holiday offer: at the striking hotel of Kühtaier Schlössl you get exactly the same amount vacation like you would want. From the comfortable double room over the spacious suite to the generous holiday apartment. From our varied included services up to attractive all- inclusive with even more trimmings. 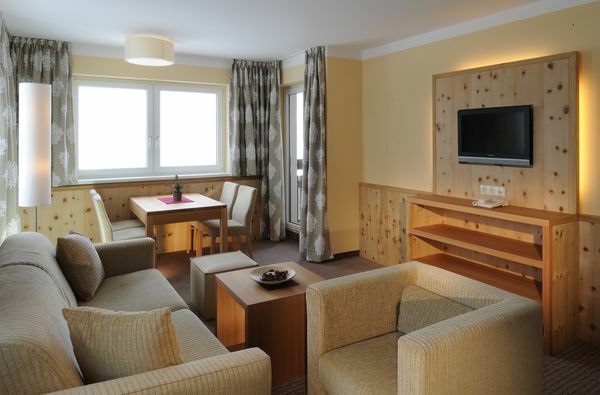 Top-modern and comfortably... the rooms & suites are so in the Kühtaier Schlössl. Here lovers of clear lines as at her expense come as friends of natural comfort, feel fine purists also like nature lovers and romantics. No bad compromise, but pleasant sensation for everybody at 2000 meters height! 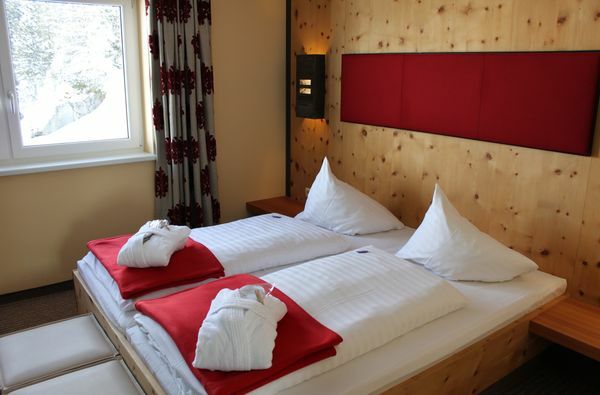 Schlössl - tip: if you like to look for yourselve and love to get more than one room in Kühtai, our holiday apartments are exactly the right alternative - also with hotel service! How does your perfect vacation look like? Say it to us - we provide to you with pleasure a suitable personal offer.